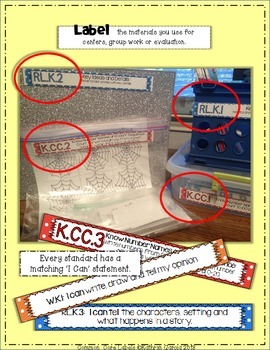 Every standard has a matching “I Can” statement to post as well. 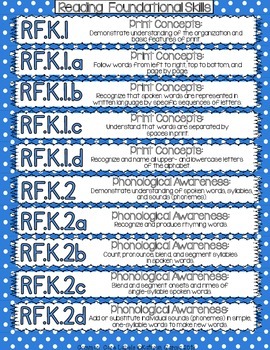 Also, print and laminate on cardstock to cut apart and use where labels might not be feasible. Magnets can be added to the back, if you prefer that method for your display board. Please click on the Preview button above to see the product details. 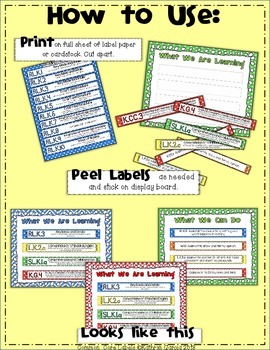 If this will fit the needs of your classroom, please consider purchasing and leaving feedback. Thank you for your visit to my store. I would love for you to know about sales, updates and new products. •Just look for the green star next to my store logo and click it to become a follower. 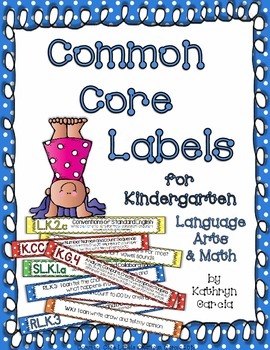 CLICK HERE TO SEE OTHER COMMON CORE FOR KINDERGARTEN PRODUCTS IN MY STORE.